How to Invest in Debt Funds Online? 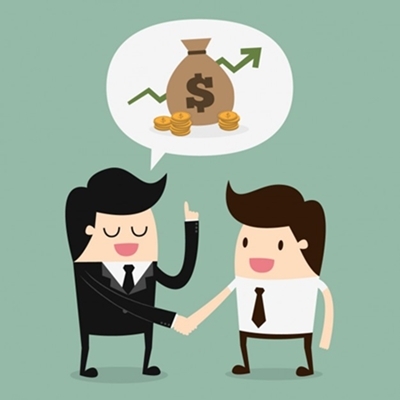 Many people always get confused whether Debt fund and Liquid Funds are different. However, it is not the case. Debt funds refer to the Mutual Fund category that invests its collective pool of money in fixed income securities. The liquid fund is a subset of debt fund scheme that invests its fund in fixed securities having a very short maturity tenure. Though debt fund is the parent category and the liquid fund is a subset of it nevertheless; there exists a lot of difference between liquid funds and other categories of fixed income Mutual Fund schemes. 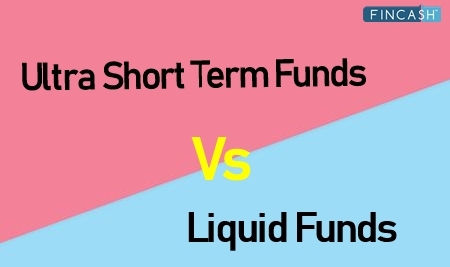 So, let us understand the differences between liquid funds and debt funds with respect to various parameters such as returns, risk, underlying asset portfolio, and much more, through this article. Debt funds invests its corpus in various fixed income instruments. Some of these instruments in which debt funds invest its corpus include treasury bills, government Bonds, corporate bonds, government securities, commercial papers, certificate of deposits, and much more. Debt funds are classified into various categories depending on the maturity profile of the underlying securities forming part of its portfolio. These categories are liquid funds, short-term funds, ultra short-term funds, Gilt Funds, Dynamic Bond Funds and so on. People having a low-risk appetite can choose to invest in debt funds. It is also suitable for investors whose investment tenure is the short and medium term. Liquid Fund is a subset of debt funds. The liquid fund invests a major corpus of its portfolio in fixed income securities whose maturity tenure is very less. The maturity of these securities is less than or equal to 91 days. Liquid funds are considered to be one of the safe Mutual Fund avenues. People having idle funds lying in their bank accounts can choose to invest in liquid funds to earn more income. In addition, these schemes earn more revenue as compared to a Savings Account. Though the liquid fund is a part of debt funds yet, it has its own features as compared to other debt fund categories. So, let us understand these differences on the basis of various parameters. One of the primary factor that differentiates a liquid fund and a debt fund is its underlying portfolio. The fixed income securities forming part of a liquid fund’s portfolio have a maximum maturity profile of less than or equal to 91 days. In addition, these securities are generally held till maturity. However, this restriction does not apply to other debt funds. The maturity profile of underlying assets forming part of debt funds can be a combination of short and long-term instruments based on the fund’s underlying objective. The returns in case of liquid funds are considered to be stable as they generate stable returns. However, in other debt funds, the returns are considered to fluctuate depending on the interest rate movements in the country. Liquid funds are considered to have high liquidity as compared to other Mutual Fund schemes. Many AMCs even offer the option of instant redemption in case of liquid funds. Through instant redemption facility, people can get their money into bank accounts within 30 minutes since the time they place the order. On the contrary, in case of other debt funds, the liquidity is not as high as liquid funds. People will get their maturity proceeds the next working day after placing the order. The risk component is low in case of liquid funds. This is because maturity tenure of the underlying securities is very less due to which they carry low-interest rate and credit risk. In addition, these securities are generally held till maturity instead of trading. On the other hand, other debt instruments are exposed to both credit and interest rate risk. As a consequence, the other debt fund schemes carry more risk as compared to liquid funds. Since, the liquid fund is a part of the debt fund, the taxation implications of debt funds is applicable even to liquid funds. In case of debt funds, the short-term Capital Gain is applicable if the investment is redeemed within three years from the date of purchase and long-term capital gain is applicable if the investment is redeemed after three years from the date of purchase. The short-term capital gain is taxable as per the individual’s regular tax slab while; the long-term capital gain is taxable at 20% with indexation benefits. The table given below summarizes the comparison between debt funds and liquid funds. After looking at the differentiating factors between debt funds and liquid funds, you can have a look some of the best funds that can be considered for investment under both liquid fund category and debt fund category as per your requirements. Thus, it can be said that it is both the funds have their own merits and demerits. However, it finally lies on the individuals on which scheme to choose. People before choosing any schemes need to assess whether the fund’s objective is in-line with their objective or not. Also, people should understand the modalities of the scheme completely before Investing in it. They can even consult a financial advisor to ensure that their investment gives them maximum returns. Liquid Funds Vs Savings Account: Where To Park Your Idle Cash?